Do you have a house that you need to sell in Canon City? You have come to the right place We Buy Houses Canon City! 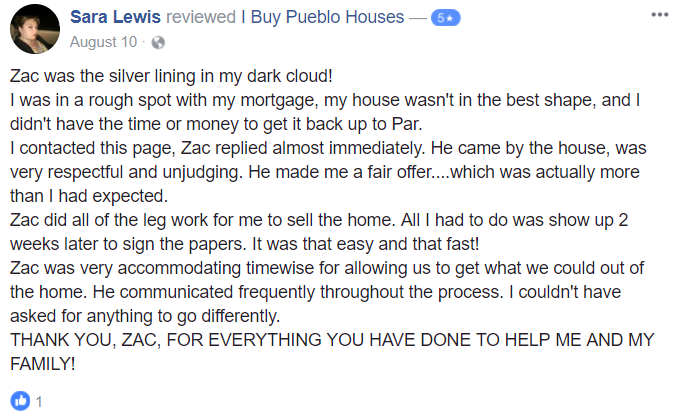 We buy houses in Pueblo, Pueblo West, and Canon City! We are currently looking for properties in any of the areas listed above. We will pay cash, cover all closing costs and we will buy in AS-IS condition meaning you do not have to repair a thing. Best of all you can pick the date of closing! Fill out the form below to sell your house fast in Canon City! Financial difficulty is one of the major reasons why people quickly sell their house. The causes of financial problem are wide and diverse. It may be because you have a loan that you are unable to pay back and you need quick money to repay it or it may be because you are sick and need to raise money to pay your hospital bill. Or it could be because you need money to pay for your school fees or cater for any other emergency. Are you going through a divorce process with your partner and you are unable to decide who should live in the house? In most occasions, the couples are expected to split the value of the house in half requiring the need for a quick sale. We Buy Houses Canon City we will help you sell the home quickly based on your individual requirements. Do you have a house that requires extensive repairs before it can become habitable? If the cost of repairing the home is too high, it might make sense to sell the property instead of repairing it. It may make sense to sell the property and add money that you could have used for repairs to buy an appropriate house. Is there a need to move from the area quickly? It could be because of a job transfer or increased crime rate but whichever the reason, We Buy Houses Canon City we can help by offering you with tailored service to suit your family needs. Sell your home without completing necessary repairs or restoration: Since these companies aim to purchase homes that might be in the worst condition and may belong to the ugliest category, you will not have to worry about performing any repairs or restoration work before selling it. Flexible Payment Options: Since the investor is all set to make the purchase, he is comfortable with negotiating to find a payment option that you may prefer. If you are about to leave the home soon, leaving with cash in hand is the best option. Investors like us have enough cash ready before they get involved in a deal. Faster Closing on Sale: Investors usually have their own set of officials who take care of the entire buying process. They are also able to come to the closing table faster because there is no need for bank loans since the investors are buying the property with cash. These two differences make the process faster and more efficient.